Knife enthusiasts, we have great news for you! Trying to find yourself a good knife for your outdoor adventures? Your outdoor adventures need a survival knife that can help you with different kinds of tasks! The knife should be able enough to complete all tasks, from the smallest to the toughest. 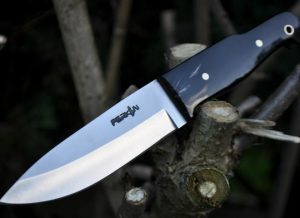 So, why not take a look at bushcraft knives? They are not only useful, but also quite strong. A perfect mixture of beauty and strength! What else could you really want? Outdoor adventures can take a nasty turn and cause havoc in your life, something that you cannot control! But, you can control the tools that you carry. These will definitely help you strive through and get back to your home in one piece! This is where a bushcraft knife can even become the difference between life and death. Why should you consider a Bushcraft Knife for your Outdoor Adventure? Survival of the fittest! Hope you have heard of this phrase. If you do not go out prepared for adverse situations on outdoor adventures, then you can forget about your fighting chance of survival. So, why risk it? Call upon the forces of nature, but to help you through the adventure, you need a trusty mate on your side. If, you can get a bushcraft kind of knife, then you are saved! There are many stores, where you can find a top quality bushcraft knife. A Strong Blade: This should be your number one priority! If, you do not have a strong blade, then you can forget about cutting and chopping wood, which is essential for a fire, or building a good shelter. Even simple tasks like clearing a path towards civilizations can become an impossible task. So, you will definitely need to start with a knife that has a strong blade. Believe us, when we say this that the bushcraft kind of knife has one of the strongest blades. Multi-purpose Application of the Knife: Are you thinking of picking up a kitchen knife as your trusty sidekick for the outdoor adventures? Well, great idea, or so you think! But, that means you can only cut veggies and dress meat. That’s it! So, all is well until you get stuck out in the wild, with a knife, which is good for cutting (not wood) veggies and dressing fish and meat. Now, what about chopping wood, or creating a shelter?! Survival is not only about eating, but also about finding means of getting back to your family. So, always make sure that you carry a bushcraft variety of knife! These will help you with a magnitude of tasks. So, a bushcraft type of knife will do all your tasks. When, you have such an awesome knife, which can be used for cutting veggies and wood, as well as dressing meat, why carry a culinary knife?! But, the question remains, that, where do you get your knife from?! 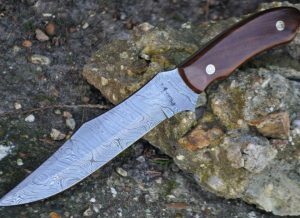 Where can you get a Good Bushcraft Kind knife? Now, this may be an issue with all! How do you trust someone, with your life? Buying a knife is no easy job. You will need to find a good store, like Perkin Knives! They have the biggest collection of knives. These stores value what kind of customer you are, what you want, and cater to your personal needs! Why are you still thinking? Find a beautiful knife; it is more like an investment than a purchase. Do not head out on your outdoor adventures without your trusty sidekick, any bushcraft kind of knife! Previous: Previous post: The Secure Dad and Parenting! Next: Next post: Everyday carry!